Today we will examine the best five Dota 2 offlane heroes played in the SEA region. The MMR range considered is 4k to 5k. The pick and win rate are both equally important. A niche hero can’t be included in this list because it will work only against specific lineups or foes. For example, Ursa has a 58.21% win rate, but a pick rate as low as 1.62%. The hero is extremely weak against disables, and requires the joint efforts of the entire team to succeed - otherwise, he will be dangerous only against players that don’t know how to react to his sudden damage. The data in the article considers the last 30 days in the SEA server. Props to Dotabuff for their awesome statistics. 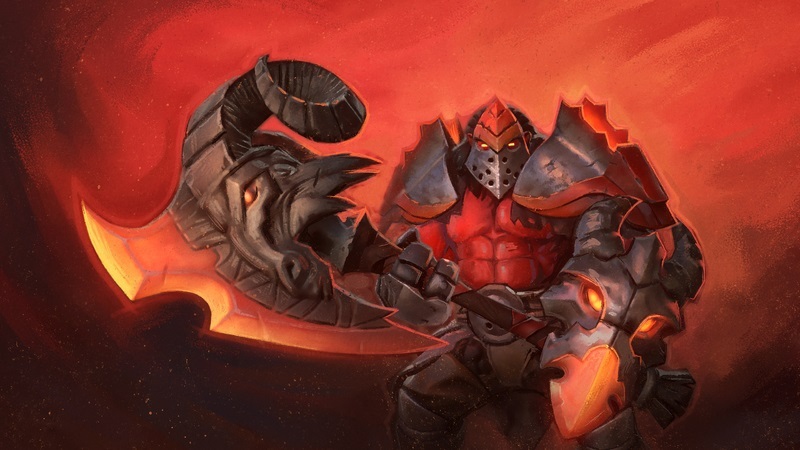 Earthshaker is at the top of the charts with a 27.58% pick rate and 53.30% win rate. He is strong also in competitive gaming, being the most picked hero in September so far. You can prevent most of his engages using heroes with damage over time abilities to disable his blink. Finally, mobility is a top priority to escape from his abilities and to counter Fissure: a Force Staff is suggested. In second place we find Necrophos, a hero that honestly is overpowered in this patch. He has a 20.92% pick rate and 56.42% win rate. When playing against a hero is too difficult, pro players tend to ban him more. In September he was banned a total of 107 times, and picked 58. Necrophos can comfortably adapt to any lane, and win even in solo. Often, he won’t need a dedicated support, thus freeing a team’s slot for an extra roamer. Thanks to Ghost Shroud he is extremely resilient, and can avoid physical damage while boosting his heal. The main issue in pub games is that you need a strategy in order to kill him - a big problem in solo queue. Necrophos isn’t just a stable hero in lane, but scales well also into the late game. Reaper’s Scythe can be a real game changer thanks to the respawn time increase. If your carry is caught in a teamfight past the 40 minute mark, the game could be lost. Nyx Assassin follows with a 10.02% pick rate and 53.63% win rate. In competitive gaming he has been picked or banned in 55% of the games during September. Nyx is the hero with the highest base health regeneration in the game: 3.25. Even Axe “only” has 2.75. When faced in the offlane, my suggestion is to not waste precious time and resources trying to gank him. Harassing won’t bring any benefit because he will just quickly regenerate over time. Only a combined gank with nukes will bring him down, but only a weak Nyx will actually fall into a trap. With two stuns at his disposal, even a trilane has a very hard time killing him, especially if he has vision of the nearby jungle. The support should just keep him at bay, and pull to deny as much experience as possible. His ganking potential will be severely hindered if he can’t quickly skill Vendetta. A second support or a roamer should use their time to help and gank the other lanes. Of course, Nyx’s mobility and nukes, particularly Mana Burn, are a huge problem for the team and the casters during the mid game. But you should properly counter him with sentries, dusts, magic resistance and health points. Axe is basically ignored in competitive games, while in SEA pubs he has a 53.11% win rate and 9.22% pick rate. Axe can be a big problem in lane against melee heroes. If the opponents lack nukes or ranged attacks, he will win the lane and freely farm, often obtaining kills against not experienced enemies. The picks of the team are crucial when facing Axe, and this is probably the cause of his high win rate in pubs. Many solo-players just care about their own pick, don’t respect their teammates, and will even ignore the enemy lineup. Apart from the picks, I always suggest all casters to buy the Eul’s Scepter of Divinity to counter him. It is a cheap item, so even supports can buy it in a relatively short time, and it completely stops Axe until he gets a Black King Bar. Just delay your usual core items - the Eul could save yourself and the team from multiple Berserker’s Calls. Venomancer stands at 8.25% pick rate and 51.70% win rate in the SEA offlane. In pro gaming he is the third most drafted hero of the month with 51 picks and 114 bans. 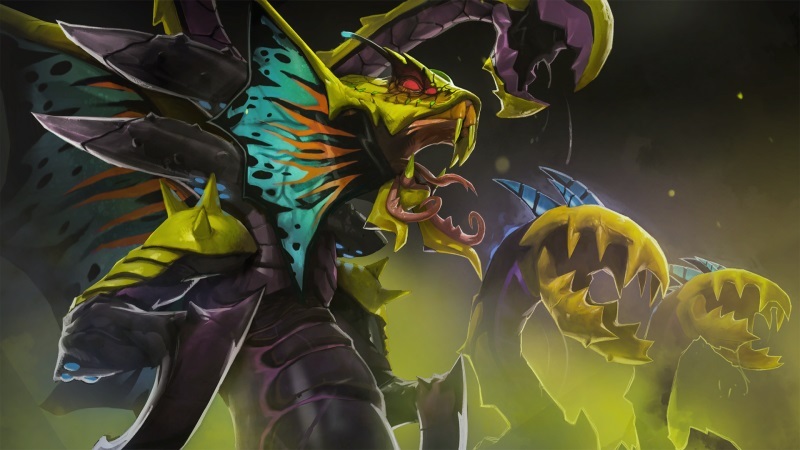 Playing against Venomancer is a painful experience because he will constantly poison his opponents. The damage over time is problematic in teamfight, where his Poison Nova will have the side effect to disable any blink for 16 long seconds. Stampede’s extra movement speed will help disengaging. Heroes with an innate magic resistance will be more resilient against him: Anti-Mage and Viper are my top choices. They can both ignore the magic damage. Anti-Mage won’t be affected by the slow because he can just blink on the enemy, while Viper will keep slowing Venomancer while inflicting more consistent damage. I hope you liked this top 5. Share with us more heroes and tactics that work against them! The top 10 most popular Dota 2 heroes in the off lane during 7.19, the patch played at The International 8. We will have a look at some of the best picks in the meta. The top 10 most popular Dota 2 heroes in the mid lane during 7.19, the patch played at The International 8. We will have a look at some of the best picks in the meta. The top 10 most popular Dota 2 heroes in the off lane during 7.19b. We will learn the best picks in the meta, the patch changes, and how to play or counter them.